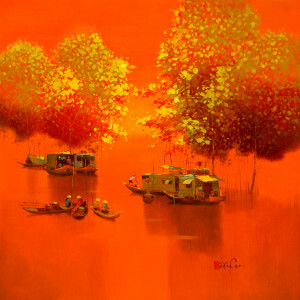 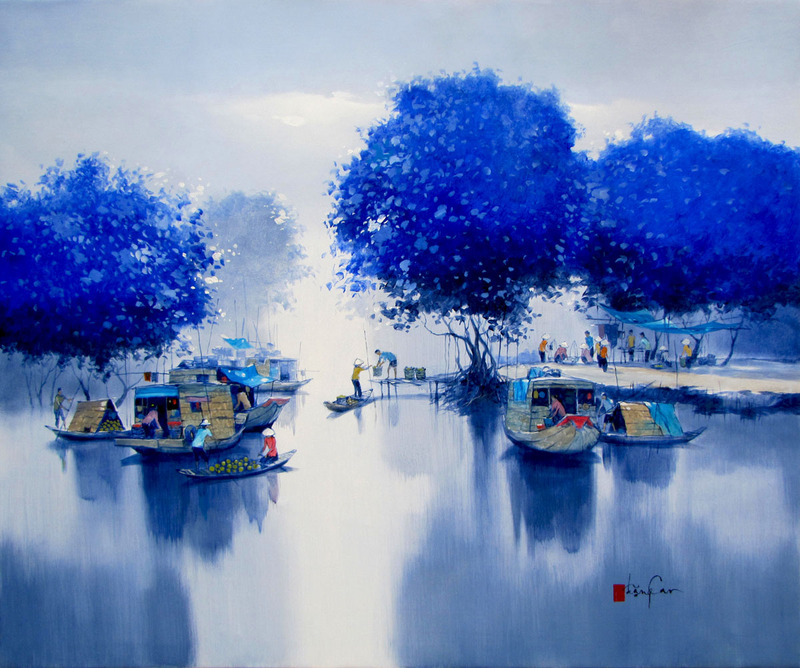 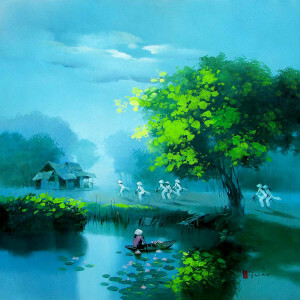 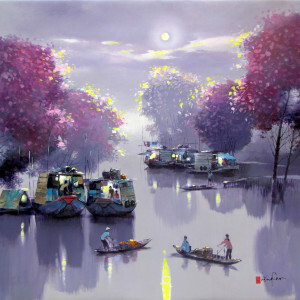 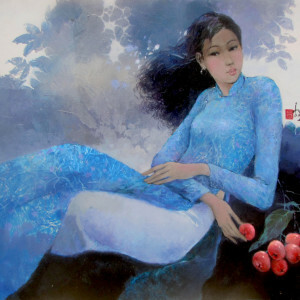 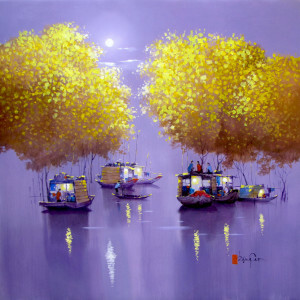 “Early Morning Market” is a masterpiece by renowned contemporary Asian artist Dang Can, who is known for portraying the life of common people living around the Mekong River. 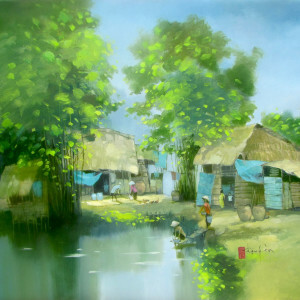 The simple composition bathed in the light blue haze of dawn captures the ambiance of the rural market beautifully. 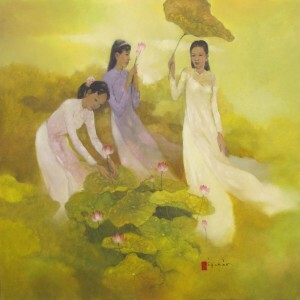 It is a beautiful example of the maturity Asian art has reached.